The Slovak National Theatre (SND) officially began its activity on 1 March 1920 with the premiere of Bedrich Smetana’s The Kiss. In the short first season the opera company staged 20 premieres, mainly productions from the repertoire of the Východočeské divadlo (East Czech Theatre) of director Bedrich Jerábek. In the next season 1921/1922 an excellent Czech composer Milan Zuna became the artistic director of the opera. During his short period in Bratislava, the interpretation level of the company rose a lot. Concerning the dramaturgy, Zuna had to accomplish an uneasy task of creating a basic repertoire and gaining the favour of the conservative Bratislava spectators whose majority was created by inhabitants of German, Hungarian and Czech nationality. However, he dared to undertake more ambitious projects. One of the most significant moments of this period was the staging of Janácek’s Káta Kabanová only two years after its world premiere in Brno. This was extremely positively evaluated by the author himself. As the theatre from the beginning found itself in financial difficulties, its superior authorities offered a contract to a private entrepreneur, composer and conductor Oskar Nedbal. In Bratislava Oskar Nedbal made full use of his excellent conducting skills and wealth of international contacts. Under his leadership the SND opera underwent rapid artistic development. The company filled its ranks of soloists with personalities like Dobrena Šimánová, Bronislav Chorovic, Roman Hübner, Zdenek Ruth-Markov, Mária Peršlová and others. Nedbal also engaged the first Slovak opera soloist Janko Blaho (1924) and Helena Bartošová, the first graduate of the professor Josef Egem’s vocal class at the Academy of Music and Drama (1926). He organised performances of the SND Opera in Prague, Vienna, Madrid and Barcelona. Well-known conductors and soloists such as Emma Destinová, Mme Charles Cahier, Karel Burian, Karl Norbert-Novotný, Dimitrij Smirnov, Leo Slezák, Georgi Baklanoff and Pietro Mascagni performed as guests at the SND. Alongside the repertoire of international classics and Czech works, Oskar Nedbal also staged premieres of works by Slovak authors, notably Wieland the Smith by Ján Levoslav Bella in 1926, nearly 40 years after its completion and Detvan by Viliam Figus-Bystry in 1928. 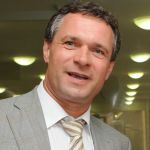 Oskar Nedbal also had to cope with major financial problems resulting on the one hand from the insufficient subsidies by the state and on the other hand from the disfavour of one part of the professional community towards his person. In 1928 Oskar Nedbal’s nephew Karel Nedbal took over the leadership of the SND opera. His 10 years as director of opera were one of the most notable periods in the history of the SND. Unlike his predecessors, he could partly escape financial troubles, partly because of incresed subsidies by the state and partly thanks to the successful business activities of the director of the SND, Antonín Drašar. Although contemporary critics disliked Drašar’s focus on operetta, it was the profit from operetta productions that created the conditions for experiments in the dramaturgy and staging of operas. As artistic director of the SND opera, Karel Nedbal built up a noteworthy operatic repertoire during the 1930s, including classical works such as Gluck’s Orpheus and Eurydice, Mozart’s cycle, Smetana’s cycle, Wagner’s opera dramas, Verdi’s later works and the French and Russian classics. He also pioneered the contemporary works of Leoš Janácek (alonside well-known works also Jenufa, Káta Kabanová, Cunning Little Vixen and From the House of the Dead), Richard Strauss (Elektra, Salome, Rosenkavalier, Ariadne on Naxos) and even new works, which raised the Bratislava opera to a historic international context – the Czechoslovak premiere of Profokiev’s Love for Three Oranges (1931), the second foreign staging (after Stockholm) of Shostakovich’s Lady Macbeth of Mtsensk (1935) and the quick and excellently-staged performance of Rocca’s Il Divuk (1937), the winner of a composition contest at La Scala in Milan. The soloists in the company established a stable, high level of performance. Other personalities joined the company – Arnold Flögl, Milada Formanová, Marie Reznícková, Jaroslav Jaroš and Karel Zavrel. Slovak graduates of the Academy of Music and Drama gradually began to find places in the company. Practically the whole of the first generation of opera singers – Nelly Bakošová, Štefan Hoza, Margita Cesányiová, Zita Frešová, Žofia Napravilová, Mária Kišonová-Hubová – studied under Josef Egema. Karel Nedbal paid great attention to the scenography of productions. Some of the most important productions in the history of the SND opera are the works of the theatrical director Viktor Šulc, in which the theatre first outgrew the limits of primary illustration – Zemlinský’s Chalk Circle, Gounod’s Faust, Offenbach’s Tales of Hoffmann, Shostakovich’s Lady Macbeth of Mtsensk, Beethoven’s Fidelio, Rocca’s Il Dibuk, Mozart’s The Magic Flute. In some opera productions he also co-operated with one of the founders of modern Czecho-Slovak scenography, František Tröster. In the era of Karel Nedbal, the SND opera became a major Central European opera company. Guest soloists and conductors included personalities like Otakar Marák, Maria Néméth, Jarmila Novotná, Zinka Kunc-Milanov, Richard Tauber, Sándor Svéd, Fjodor Šaljapin, Richard Strauss and many others. Critics from Prague and Vienna reviewed the major Bratislava premieres of the 1930s. The SND company performed every year in the Vienna Stadttheater, the Raymund-Theater and the Volksoper, and was also a frequent guest in Bratislava. Karel Nedbal’s activities with the SND opera were ended by the political events of the Autumn of 1938 and the subsequent departure of Czech artists from Slovakia. After the break-up of the Czechoslovak Republic, the SND opera found itself in an extremely difficult situation. There was a high level of migration in all artistic areas. Karel Nedbal as well as the conductor Zdenek Folprecht, and the Czech orchestral musicians, chorus singers and dancers left. The ranks of soloists were severely depleted. The performers of the previous period who remained were the basses Arnold Flögl and Zdenek Ruth-Markov, the Slovene alto Mária Peršlová and the tenor František Hájek, while Milada Formanová appeared as a permanent guest. The only Slovak soloists with extensive experience were the husband and wife pair Janko Blaho and Helena Bartošová. The conductor Josef Vincourek became the artistic director of the SND opera but dramaturg and soloist Štefan Hoza had the last word on planning, programming, dramaturgy and questions relating to operations and personnel. Like Milan Zuna in the early 20’s, the then leadership of the SND opera had to face the task of attracting a new audience, changed in the ethnic structure. The 1939-1940 brought first signs of artistic consolidation. New soloists and chorus members were recruited. Alongside the experienced soloists of the previous era who stayed in the theatre, stars of Drašar’s operettas such as Margita Cesányiová and Štefan Hoza also became major figures in opera. 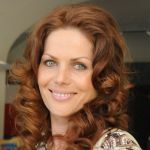 Zita Frešová-Hudcová was in her prime as a singer and the star of Mária Kišonová-Hubová was on the rise. Other soloists in the company were Mária Medvecká, Ludvika Svobodová-Dubovská, Gizela Veclová, Jelizaveta Evertová, Janka Gabcová, Dita Gabajová, Rudolf Petrák, Emil Schütz, Franjo Hvastija, Imrich Gál and Boris Jevtušenko. Juraj Viliam Schöffer and Ladislav Holoubek shared the conductor’s podium with Josef Vincourek, while the young talent Tibor Frešo directed a number of operettas and ballets. There was no decline in the intensity of performances of the lighter repertoire. Drahoš Želenský and František Krištof-Veselý directed operettas with performances from Margita Cesányiová, Mária Kišonová-Hubová, Gizela Veclová, Renáta Šimanová, František Krištof-Veselý, Štefan Hoza, František Dibarbora, Štefan Figura and others. This period is closely associated with domestic productions by Slovak composer of operettas and popular songs Gejza Dusík (A Thousand Metres of Love, When May is in Bloom, the Blue Rose, Under a Foreign Flag, Turkish Tobacco, Fateful Waltz, Secret Ring). Classic operettas by Johann Strauss, Franz Lehár and Emerich Kálmán continued to have their place. The end of the war also meant the end of the good times for operetta. It became official policy to oppose it as a residual form of bourgeois culture and operetta left the stage of the Slovak National Theatre. The need to ‘Slovakise’ the SND opera in the course of the 1938-1939 season required extensive translation work. Translations were produced by members of the opera company – Ladislav Holoubek, Štefan Hoza, Arnold Flögl, the playwright and dramaturgist Ferdinand Hoffmann and the writers Jarko Elen, Andrej Žarnov, Mária Rázusová-Martáková and Ján Ponican. Despite the direct efforts of the state’s cultural authorities, Slovakia still lacked a national opera satisfying the highest artistic standards. During the Slovak state, the SND presented three stage works by Ladislav Holoubek that used the musical language of the 20th century (Stella, Svitanie, Túžba) and Jozef Rosinký’s opera Calmak. Bella’s Wieland the Smith returned to the stage in a dignified performance, but for various reasons none of them satisfied the needs for a representative national title. The first post-war seasons sought to raise the quality of musical performance and to introduce modern theatrical elements into the dramaturgy. The leading conductors of this period were the excellent Croatian conductor Krešimir Baranovic, who was succeeded as chief conductor by Milan Zuna, returning after nearly a quarter of a century. The conducting talents of Tibor Frešo and Ladislav Holoubek began to develop. The events of February 1948 and the subsequent rise to supremacy of the aesthetics of socialist realism and political-ideological interpretation affected opera less than drama. The dramaturgy of the 1950s was marked by more frequent performance of works from allied socialist states. The most painful effects of this period of schizophrenia were felt by the work that Slovak culture had for so long been crying out for – an opera with all the ingredients necessary to be called a ‘national’ – Suchon’s Krútnava (‘The Whirlpool’). The date of its premiere, 10 December 1949, is one of the most important milestones in the history of Slovak culture. The ideology soon forced significant changes, primarily to the moral and subject matter of the work, which they criticised for its dark theme, excessive idealism and Christian pseudo-humanism. Krútnava was performed in a revised form until 1963 when creative team led by the director Branislav Kriška and the conductor Jan Valach rehabilitated the original vision, excluding the return of general spoken characters – the Poet and his Double. The premiere of a completely revised version of the work took place on the occasion of the author’s centenary, in 2008 at the State Opera in Banská Bystrica. Thirty six productions outside Slovakia make Krútnava the most successful work in the history of Slovak opera, whereas Slovak theatres have staged 14 productions so far. Even in the 1950’s the SND opera had good soloists. The protagonists of the wartime period were gradually joined by new faces – Anna Hrušovská, Marta Kurbelová, Anna Martvonová, Štefánia Hulmanová, Nina Hazuchová, Olga Hanáková, Gustáv Papp, František Šubert, Alexander Baránek, Bohuš Hanák, František Zvarík, Ferdinand Krcmár and others. The leading director was the Czech Miloš Wasserbauer, whose work drew on modern European poetics of staging. It was also the period when the best known scenographer in the history of Slovak theatre, Ladislav Vychodil, rose to prominence. After 1955 the first graduates in opera from the Academy of Music and Dramatic Arts (VŠMU) arrived at the SND. They would be the leading creators of the next three decades and produce many excellent productions – Miroslav Fischer, Branislav Kriška and Július Gyermek. The 1960s, the years before the invasion of Czechoslovakia in August 1968 which would overturn the social and personal life of the country’s citizens for two decades, represent one of the most fertile and dramaturgically balanced periods in the history of the Slovak National Theatre. There was a rapid growth in the real development of original Slovak productions. These works offered a diversity of generational viewpoints, composition procedures and theatrical models. There were premieres of Cikker’s best operas Resurrection and Mister Scrooge, Holoubek’s anti-fascist Professor Mamlock, Bázlik’s lyrical Peter and Lucia and Andrašovan’s The White Disease, a drama about the danger of absolute power. Alongside titles intended for the classically-oriented audience, the political thaw made it possible to give a high profile to the operas of the 20th century. At that time the SND Opera was the most productive in Czechoslovakia. Thanks to its excellent soloists Imrich Jakubek, Jirí Zahradnícek, Gustáv Papp, Andrej Kucharský, Bohuš Hanák, Juraj Martvon, Ondrej Malachovský, Gejza Zelenay, Margita Cesányiová, Mária Kišonová-Hubová, Anna Poláková, Anna Martvonová, Anna Penašková, Lubica Baricová, Olga Hanáková, Jaroslava Sedlárová and others even the Romantic repertoire was performed to a high standard. The Dadaistic opera first fruits The Emperor’s New Clothes by Slovak composer Juraj Beneš, a work with significant anti-totalitarian allusions, were the last in the historic building of the SND for three seasons while reconstruction work was carried out. Reconstruction was necessary because the existing building did not satisfy the needs of modern productions. The opera company had to share space with the drama company in the Theatre of Pavol Orszagh Hviezdoslav. The 1970s and 1980s were a complex and controversial period in Slovak culture. It should be noted that in comparison with the drama company, the opera was only marginally affected by normalisation. At the start of the 1970s the opera company lost a number of artists – it was because they emigrated in protest against the political situation (Bohuš Hanák and Gejza Zelenay) or it resulted from natural generational changes. 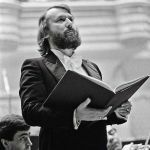 On the other hand it was a period when, a major personality became the head of the ensemble – Czech conductor Zdenek Košler (1971-1976). The company’s memorable work from this period include stylish productions of Mozart (Cosi fan tutte, Don Giovanni), and excellent productions of Janácek’s The Makropulos Affair, Beethoven’s Fidelio and Bartók’s Bluebeard’s Castle. There was an extraordinary improvement in the general level of performance in the company. A number of talented young artists appeared on the opera stage. This was the generation of Peter Dvorský and Sergej Kopcák. 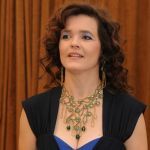 Alongside the experienced soloists (Elena Kittnarová, Anna Starostová, Olga Hanáková, Lubica Baricová, František Livora, Pavol Mauréry, Ondrej Malachovský), a young generation of successful singers gathered in the 1970s and 1980s – including Magdaléna Hajóssyová, Sidónia Haljaková, Marta Nitranová, Mária Turnová, Magdaléna Blahušiaková, Peter Dvorský, Peter Mikuláš, Sergej Kopcák, neskôr Ján Galla, Lubica Rybárska, Ida Kirilová, Jozef Kundlák and Eva Jenisová. The dramaturgy of the SND Opera shows a clear attempt to balance the styles of different periods. Considerable space was given to original Slovak works. Cikker’s new works were performed (though none of them reached the artistic standards of Resurrection), along with the musically and formally uncomplicated operas Pani úsvitu and Tanec nad plačom by Bartolomej Urbanec, Hatrik’s The Happy Prince, Frešo’s Francois Villon and above all Beneš’ The Feast, a work that was anti-illusionary, modern, stylised and, for its time, morally and socially extremely relevant, the most important since the time of Krútnava and Resurrection. Until the end of the 1980s the direction and scenography of productions was limited by the closed creative environment. Except for occasional guests (Klaus Kahl, Václav Vežník, Karel Jernek, Günther Lohse, Bedrich Kramosil, Marián Chudovský), the profile of the theatre was almost entirely determined by three directors – Branislav Kriška, Miroslav Fischer and Július Gyermek. Their common denominator was not only a similar age (being born in 1931 or 1932) but also a commitment to stage realism as the main foundation of each of their individual styles. The most notable productions of this period were Kriška’s stylistically polished productions of The Makropulos Affair, Bluebeard’s Castle, The Rake’s Progress, The Feast, Fischer’s realistic conception of Salome, Elektra, Katarina Izmajlová’s Wozzek and Gyermek’s productions of Verdi with elements of Bayreuth-style lighting. The calm surface of staging practices in Slovakia was first disturbed by a production of Verdi’s Rigoletto (1987) by the young and ambitious director Marián Chudovský, which created the conditions for the acceptance of Bednárik’s production of Faust (1989), a production whose brilliant combination of stage elements and previously unseen theatricality caused it to be written in the history of Slovak opera. The company took the production to the Edinburgh Festival – one of the most important theatre festivals in the world, where they received an award by prestigious critics. The revolution in the SND Opera came a little before the ‘Velvet Revolution’ in November 1989. The period of social and political change after 1989 was naturally reflected in the functioning of Slovak culture. The direction of the opera was taken over by former soloist Juraj Hrubant, who retained his position except for a short period (1996-1998) until the end of the 2001-2002 season. The dramaturgy of this period was largely characterised by an audience-pleasing repertoire (Nabucco, Traviata, Rigoletto, Carmen, Tosca, La Bohème…) Until Marián Chudovský became director of the opera in 2002 the company, the most prestigious in the country and the national opera company after the establishment of the independent Slovak Republic, gave up performing original Slovak works (apart from Cikker’s Resurrection and Suchon’s Krútnava and three fairy tale operas) and did not even perform 20th-century classics. Dramaturgical bonuses in the last decade of the 20th century were Monteverdi’s The Coronation of Poppea, Debussy’s Pelléas and Mésalinda, the Slovak premiere of Boito’s Mefistofele, Thomas’s Hamlet, Massenet’s Werther and Verdi’s Otello and Falstaff. 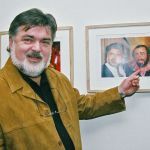 The main directors in this period were Miroslav Fischer, a director belonging to the first professional generation and a young graduate of Kriška’s opera direction class at the Academy of Music and Dramatic Arts, Pavol Smolík. A change in direction for the SND opera took place after the appointment of Marián Chudovský (2002-2006). The theatre opened up in terms of dramaturgical diversity and the plurality of directorial opinions in an effort to engage with the current European context. Different viewpoints on opera were presented: the creatively aestheticising poetics of Zuzana Lacková-Gilhuus (Alcina), the appellative modern theatre of Marin Bendik (Bluebeard’s Castle) and Peter Konwitschny’s revolutionary (in Slovak conditions) Eugen Onegin. The most noteworthy recent project has been the Slovak National Theatre (SND) Opera and the Warsaw Opera co-production staging of Orpheus and Eurydice by Gluck. It was directed by Mariusz Trelinsk and Boris Kudlička was responsible for the stage solutions. Alongside the experienced generation of the 1980s, the key performers of the SND opera at the turn of the millennium were Andrea Danková, Jolana Fogašová, Jitka Sapara-Fischerová, Iveta Matyášová, Jana Valášková, Denisa Šlepkovská, Martin Babjak, Michal Lehotský, Ludovít Ludha, Sergej Tolstov and others. Miroslav Dvorský, Dalibor and Eva Jenis, Lubica Vargicová and Sergej Larin followed in the footsteps of Peter Dvorský, Edita Gruberová, Lucia Poppová, Gabriela Benacková and Sergej Kopcák in building an international reputation. 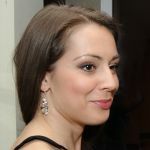 The youngest generation of Slovak singers also enjoys success on foreign stages – Adriana Kucerová, Jana Kurucová, Pavol Bršlík, Štefan Kocán and others. At present the Opera Ensemble of the Slovak National Theatre performs on two stages – in the Historic National Theatre Building and in the opera hall of the New National Theatre Building, whose ceremonial opening took place after many years of complications and delays on 14 April 2006. Since 2012 the renowned Austrian conductor Friedrich Haider has been the head of the ensemble whose leadership has mostly led to the significant increase in the technical and style maturity of the orchestra.